GOP candidate Ben Carson’s campaign reported raising an impressive $20 million in the third Quarter reporting period. His take is double the amount raised in the second Quarter, powered by thousands of small dollar donations. Carson’s campaign was the first GOP campaign to announce fundraising numbers for the quarter, but his total sets a bar for the other campaigns. The third quarter, which closed on Wednesday, covers campaign fundraising in July through September. Although fundraising often lags in the Summer months, the campaigns need as many resources as possible to begin advertising in the early voting states in the increasingly competitive GOP primary. Full results of every campaign’s revenue and spending for the quarter will be available publicly next week. Only the campaigns themselves are able to report fundraising numbers before the reports are made public. Carson’s campaign was the first Republican campaign to make its numbers available, no doubt, because of its clear success. Even assuming the Carson campaign had high fundraising costs, as is typical with small dollar donations, the overall collection number is still very impressive. 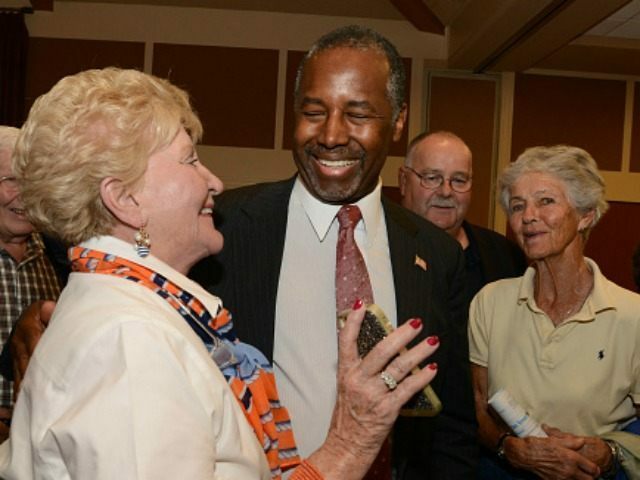 In the second Quarter this year, Carson had reported raising just over $10 million. Carson’s fundraising indicates that he is clearly benefiting from his strong position in most national polls. There are still about three months before Iowa and New Hampshire cast their first ballots in the battle for the nomination, causing many pundits to dismiss the importance of early polling. Carson, however, seems to be able to translate his polling support into hard dollars for his campaign. Carson’s total puts added pressure on the other campaigns. Late Thursday, Sen. Rand Paul’s campaign disclosed it had raised just $2.5 million in the quarter, a significant drop from the $7 million in raised in the second quarter. The campaign additionally disclosed that it had about $2 million on hand currently. The Paul campaign began the third quarter with just over $4 million cash-on-hand. Based on these figures, it seems the Paul campaign spent almost twice the amount in raised in July-September. Given their relative positions in the polls, it isn’t surprising that Carson out raised Paul by such a large amount. Carson’s total, however, was also almost as much as either Hillary Clinton or Bernie Sanders raised for the quarter. Considering the fact that Carson faces far more opponents than either of the Democrats, his number is especially noteworthy. Carson’s success puts added pressure on the other major candidates for the nomination, especially Carly Fiorina, Sen. Marco Rubio and Jeb Bush. Although Jeb Bush’s Super PAC lapped all candidates with a massive $100 million haul in the second Quarter, his personal campaign raised just over $11 million. Jeb’s modest fundraising for his personal campaign in the second Quarter may have been a high-water mark, however, as over 80 percent of the donations came from supporters who had maxed out their contributions. Jeb’s fundraising challenge over the Summer, then, was to attract a large number of new donors to his campaign. It will be interesting to see if he was able to do this while his polling numbers fell sharply. At the very least, Jeb needs to show a fundraising haul similar to Carson’s, to show he will have the resources he has been expected to have. Carson’s haul also puts some pressure on Sen. Ted Cruz, who reported the highest total of contributions to his individual campaign last quarter. Cruz raised over $14 million for his campaign in the April-June period, the most of any Republican candidate. Almost half of Cruz’s donations in the second Quarter were in the amounts of $200 or less, suggesting he has a lot of room to grow his donor base. By comparison, only 3 percent of Bush’s contributions in the second Quarter were $200 or less. Cruz also raised a stunning $38 million for his Super PAC in the Spring, second only to Jeb Bush among all the candidates. Carson’s fundraising total has provided a yardstick to measure the other campaigns. That is, if they choose to report any numbers before they are made public next week. If the other campaigns don’t report any numbers, well, that too will tell us a lot.